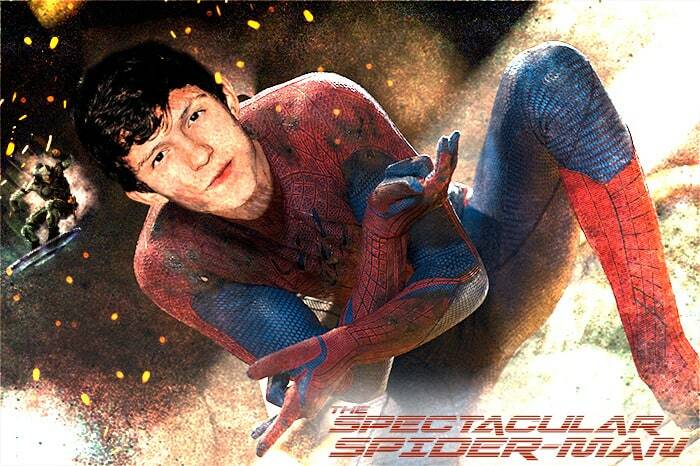 Tom Holland is the new Spider-Man. Marvel is known for being very secretive, but one thing our sources got to uncover is that Tom Holland has not only been picked to play Spider-Man, but that he has had the role since the first week of June. There was some speculation that Marvel and Sony were arguing over the actor to take over the role, but that’s not exactly what went down. Let’s step back and remember when the screen-test happened, Borys Kit from THR confirmed that Asa Butterfield (Ender’s Game) and Tom Holland (The Impossible) were the frontrunners, with Charlie Rowe (Red-Band Society), Charlie Plummer (King Jack), Matt Lintz and Judah Lewis (Point Break’s remake) also screen-testing. If we analyze the actors’ ages, we can conclude that Marvel and Sony had two different approaches for Spider-Man in mind: Casting very young under 18 year old actors, since Charlie Plummer is 16 years old and both Matt Lintz and Judah Lewis are 14 years old, or casting actors that were over the age of 18 and also capable of carry the weight of a big franchise like Spider-Man, having Asa Butterfield who just turned 18 years old and Tom Holland – who turned 19 years old just days after the final screen-tests in the last weekend of May – as the frontrunners, with the addition of Charlie Rowe (19) also thrown in the mix. The truth is whatever discussion Marvel and Sony had over the casting of Spider-Man, that deliberation ended after the screen-testing weekend back on May 30th in Atlanta’s Pinewood Studios. See, Asa Butterfield and Tom Holland were the frontrunners all along. While Marvel and Sony certainly weren’t happy with Asa Butterfield talking about the role on Reddit, that wasn’t the defining factor that made Tom Holland our new Spider-Man. The truth is that both parties of Marvel and Sony were very impressed with Holland’s audition, like Devin Faraci had reported some weeks before the screen testing, but there’s more. Who was the actor that flew to Atlanta that same Saturday to help with the screen testings? That’s Robert Downey Jr.. As everyone knows, Downey has a reputation for his talent, charisma in his stunning portrayal of Tony Stark. However he is also known for being relatively short, standing at 5ft 8in tall to be precise. Can you picture the skinny Asa Butterfield (6’0’’) screen testing with Robert Downey Jr. (5’8’’)? Tom Holland in the other hand is shorter than Robert Downey Jr. (5’7”). While that wasn’t the main reason that Holland got the role instead of Butterfield, it certainly didn’t hurt Tom’s case to look good next to the Marvel Cinematic Universe’s main man. 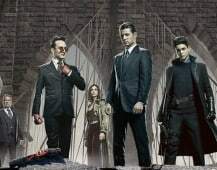 Back on June 3rd, when Asa Butterfield posted on twitter #6ftclub four days after the screen-testing happened, he already knew that Marvel and Sony wouldn’t need him on set back in Atlanta. June 3rd. Two days after Tom Holland’s 19th birthday and one day after Kevin Feige’s birthday date. That’s also the same day that Holland heard that he was needed back in Atlanta, but that’s Level 7 information that we can only disclosure now that the casting process is finally done. What happened is that while the other actors campaigned for the role on their social networks, favoriting tweets asking Marvel to hurry the casting process and such, Marvel and Sony flew Tom Holland back to Atlanta for costume fitting, getting the new Spider-Man’s haircut done and probably even shot some indoor filming. The only actor that knew that he wouldn’t be needed back in Atlanta was Asa Butterfield, and that happened because he was indeed one of the two frontrunners. It just so happened that the other frontrunner was the one that blew Kevin Feige, Amy Pascal and the Russo Brothers away. These are all very talented young actors, but Marvel and Sony needed time to work the deal out with Tom Holland and that’s why we’ve had to wait so long for the announcement. Charlie Rowe was rumored to have also been a frontrunner after the screen-testings happened, possibly because Amy Pascal liked him due to Rowe’s resemblance to the traditional appearance of Peter Parker and possibly wanting a younger version of Andrew Garfield. However, at the end of the day, he worked mostly as a back up plan if Marvel and Sony’s negotiations with Tom Holland fell through. The fact is that all of the actors, save for Holland and Butterfield, were kept in the dark about being needed back in the Atlanta set for Captain America: Civil War. Only one actor came back on June 4th to take over the role of Spider-Man, and that young actor is Tom Holland. His background is impressive, having a moving lead role in the disaster movie The Impossible outshining Ewan McGregor and Naomi Watts, also gathering a great amount of good buzz for Ron Howard’s next movie, In The Heart Of The Sea, starred by Thor’s Chris Hemsworth. Tom is also known for being an actual gymnast, and will probably be showing off his stuntman skills for the years to come, definitely having huge potential to become the definitive Spider-Man.